Hip hop has had many “moments” since its origins in the 1970’s Bronx underground music scene. The music has evolved – subgroups have formed, and new styles have been introduced – but the original architecture of the music remains. In this article, we will examine some of the best hip hop albums of all time. 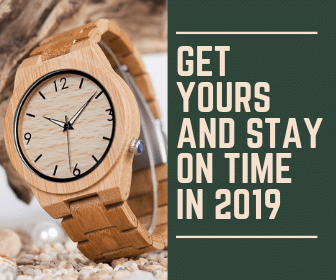 Honesty, transparency and accuracy is very important to use. We select our ratings based off a range of research methods – from consumer to professional reviews, as well as the general reputation of the album. 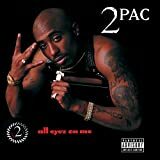 Tupac Amaru Shakur, 2Pac, Makaveli – whatever you’d like to call him – is hands down one of the most influential rappers that has existed thus far. Pac brought together Snoop Dogg, Dr. Dre, Method Man of Wu-Tang Clan, and an entire cast of other accompanying rappers and singers. The album was certified diamond in the U.S. in 2014 after having sold over 10 million copies. Kanye West’s debut studio album, The College Dropout, is renowned by many as an incredible album. West began recording the album in 1999 and over a period of four years recorded iconic tracks like “Through the Wire” and “The New Workout Plan.” West eventually released the album in 2004 through Roc-A-Fella Records and Def Jam Recordings. Production and writing of the album was completed by artists including Jay-Z, Lauryn Hill, Aretha Franklin, and even Marvin Gaye. It’s no wonder the quality of writing and production is so high – so high that it has been named as one of the best hip hop albums of all time by Time and Rolling Stone and even won the Grammy Award for Best Rap Album in 2005. 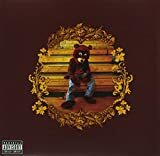 The College Dropout has sold over 3.5 million copies in the U.S. and over 4 million copies worldwide and is West’s best-selling album. Run-D.M.C. released their self-titled album in 1984 and that same year it went gold – the first rap album to do so. In a lot of ways, the album was revolutionary and broke all the rules of music that were understood prior to its release. The album was Run-D.M.C.’s first studio album. Run-D.M.C. 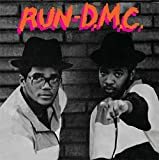 was the first hip hop group to have a music video featured on MTV, with the track from this album titled “Rockbox.” At first, disc jockeys were hesitant to play Run-D.M.C. on the radio station, but after a few in NYC took a chance, other urban radio stations followed suit. The album has now sold enough copies to be certified gold. Damn is Kendrick Lamar’s fourth studio album and it has brought him wild success. Released in April 2017, the album has broken ground for the modern world of hip hop music. In July, around 3 months after its release, Damn was certified double platinum with around 4 million units in sales equivalency. In April of 2018, the album garnered Lamar a Pulitzer Prize. Lamar is the first person to win a Pulitzer for any music that isn’t classical or jazz. 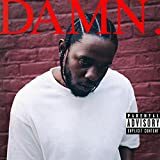 Popular tracks from the album include “Humble” and “Loyalty.” Lamar features three very different musical acts on the album: Rihanna, Zacari, and U2. The album has performed incredibly well worldwide as well and is certified as gold or higher in 10 countries. 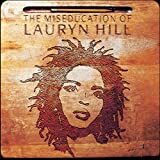 Lauryn Hill broke the first-week sales record for a female artist with The Miseducation of Lauryn Hill – her debut solo album. 422,624 copies of the album sold during its first week but the album has now been certified 8x platinum by the Recording Industry Association of America for having sold over 8 million copies in the U.S. alone and over 14 million copies worldwide. The influence that the album had on the world of hip hop undoubtedly marks this album as one of the best hip hop albums of all time.